Good news, the dankest of the dank has just landed at Rogue Valley Cannabis. Our strain spotlight for this month is Lemon Larry from Emerald Fields! 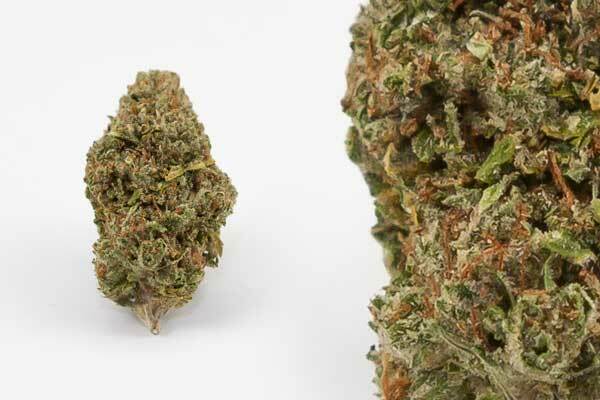 Lemon Larry, also known as Larry OG, is yet another member of the famous ocean-grown family. Originally cultivated in Orange County, this indica is a cross between OG Kush and SFV OG. Lemon Larry produces a potent yet eased body buzz that allows for full relaxation but still gives you the energy to get things done throughout your day. The effects are happy but not overwhelming, and like other members of the OG family, this strain has a very clean and piney aroma. This strain is particularly great for alleviating pain, easing stress and can be used as a sleeping aide for the evening. Characterized by a dense flower accompanied by burnt orange hairs, this strain is just as good as it looks! This batch from Emerald Fields sits with a THC of 22.49% and our budtenders can’t get enough. Get your weekend off to a great start and come visit RVC for the most quality cannabis on the market.